Getting stuck at calculating the future support and resistance levels? 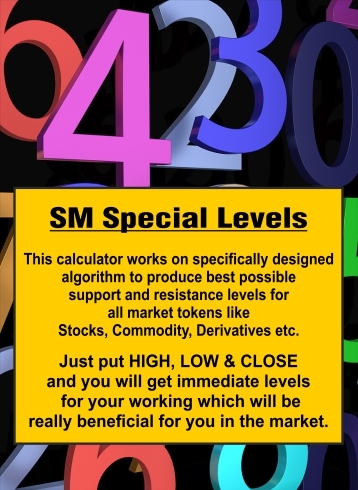 Sunil Minglani has been introducing a calculator that is designed and formulated in his unique way of finding the Support and Resistance levels of any Stocks/Indices/Commodities/Currencies etc. for any particular time frame. You just have to input high, low, closing levels of any Market Token for any time frame and you will get the immediate support and resistance levels of same time frame which will help you to make decisions for your trading activities.